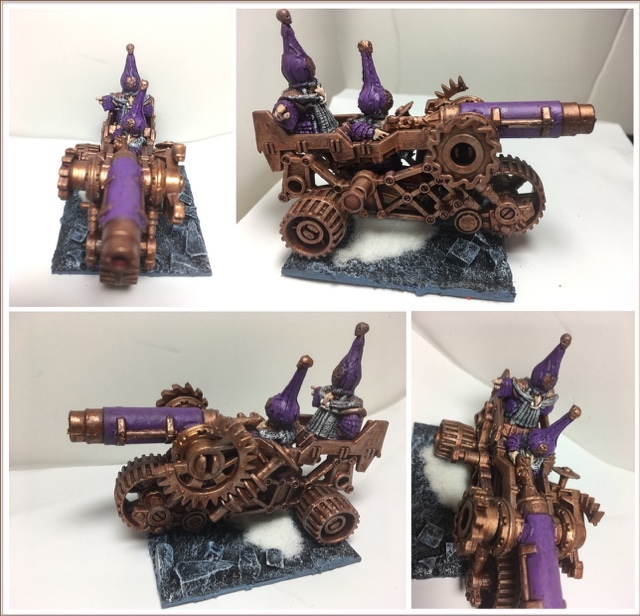 The always awesome Golden hat competition from Chaos Dwarfs online has produced some awesome entries. Here is my take on the gunnery team using a blunderbuss and earthshaker crew member. The chasis comes from one a Russian toy company and required some cutting and moving to turn the stone thrower into a mobile gunnery team. The base is 60mm but I will likely need to reduce this to a 40mm square in the second edition of the 9th Age.